Phenibutum is the drug of choice when withdrawal opiate dependence. With the correct selection of the time of administration, dose, multiplicity of application, severe manifestations of withdrawal symptoms in case of refusal of opiates. The drug was synthesized in Russia and is included in the compulsory list of medicines for space medicine. Only this medication was able to remove the stresses that develop in cosmonauts. The chemical structure of Phenibutum is one of the forms of gamma-aminobutyric acid GABA. potentiation of hypnotics, neuroleptic and psychostimulating drugs. The drug acts on GABA receptors, stimulates the transmission of nerve impulses in the central nervous system. Pharmaceutical means normalizes metabolic processes throughout the body, but especially in the brain, improves blood circulation (microcirculation) in it. This is the basis of its antiplatelet and antioxidant properties. the manifestation of motor and speech disorders is facilitated. The drug has a low toxicity, a low probability of allergies. Pregnant women do not have a teratogenic effect on the developing fetus. Does not have carcinogenic properties. It penetrates well into all tissue structures of the body, and passes through the blood-brain barrier (GEB). There is no cumulative effect. Before you prescribe a medicine, you should know that it can have a dangerous effect on a person and cause a number of painful changes. liver pathology, accompanied by a deficiency of this organ. Some patients may experience drowsiness, nausea, vomiting. When an overdose occurs excitation, marked anxiety, dizziness, impaired movement. Against the backdrop of prolonged use should be sure to monitor blood tests. The use of the drug requires expert advice. It is very important to determine the dose, multiplicity and duration immediately. The patient’s condition is taken into account, his physical data – height, weight, age, etc. Great importance has the drug experience and the number of opiates taken. The course of treatment should last up to 6 weeks. The first 5 days after the cessation of anesthesia Phenibutum is taken at 500 mg (2 tablets) in the morning, afternoon and evening. On the third-fourth day, when the withdrawal is manifested by the most pronounced complaints, at night you can raise the dose to 750 mg (3 tablets). So it should be repeated a few days. After the first signs of relief, you need to gradually reduce the number of tablets. By the end of 2 weeks of abstinence should be in the morning to reduce the dose to 250 mg, in the daytime 500 mg, and at night 500 mg. In the third week, the recommended regimen is in the morning 250 mg, in the daytime 250 mg, in the evening 500 mg. The fourth week of treatment: in the morning, in the afternoon and in the evening – 250 mg. The fifth – in the morning and in the evening on 250 mg.
Sixth – 250 mg at night. The scheme can be changed individually, depending on the patient’s condition. If there is insufficient effect, you should choose another drug. With the withdrawal from opiate dependence, compulsory psychotherapy is required, which supplements and intensifies the medication. 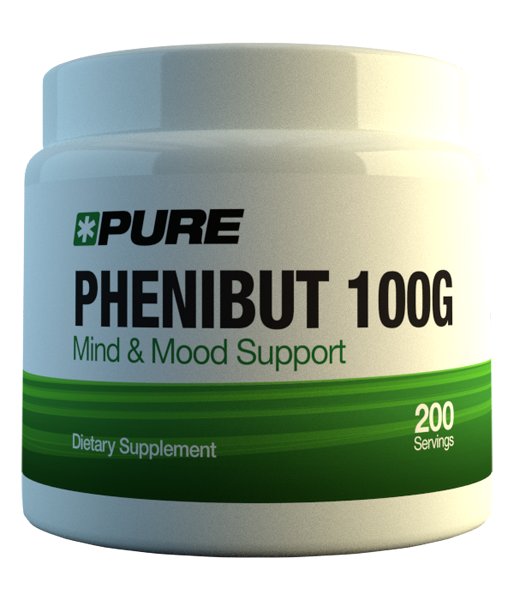 Please note that Phenibutum is available in tablets (250 mg each) and powders (100 mg each). In the United States, this substance can be purchased as a food supplement. Particularly pronounced medicinal properties is the medicine produced in Latvia. Phenibutum is very good tool in the treatment of opiate withdrawal. Be sure to consider that the basis of recovery is your own desire to get rid of the disease. Do not forget to contact a specialist who will greatly help you in this difficult matter.